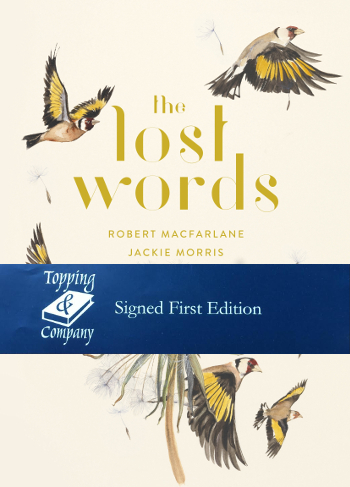 The Lost Words is a book that seeks to conjure the near-lost magic, beauty and strangeness of the nature that surrounds us, for readers both young and old. Taking the form of twenty ‘lost’ words, collected alphabetically from ‘Acorn’ to ‘Wren’ each word becomes a spell – written by Robert Macfarlane, which is intended to be read aloud. The beautiful images by acclaimed illustrator Jackie Morris capture first the absence of the plant or creature within its habitat and then its return. The spell summons the image and the word back into being, making this a book of enchantment in more than one sense.